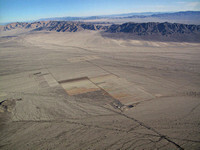 The Desert Renewable Energy Conservation Plan (DRECP), a major component of California's renewable energy planning efforts, will help provide effective protection and conservation of desert ecosystems while allowing for the appropriate development of renewable energy projects. 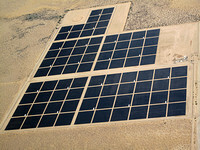 EcoFlight has conducted flights over several solar energy zones including the Riverside East region, the largest of 24 solar zones singled out in a federal plan which originally had eighty percent of the area earmarked for solar development. 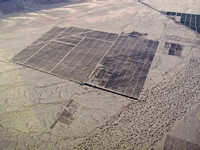 After considerable public input, the Department of the Interior revised its original plan to include significant new protections for desert national parks, including the removal of the Iron Mountain solar energy zone, and the reduction of the Riverside East and Amargosa Valley zones. 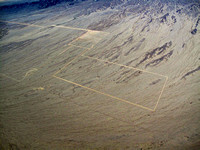 These reconfigurations protect resources within and connectivity between all three desert parks. 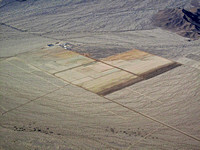 In total the removals, reductions, and exclusions add up to over 230,000 acres of development that would have negatively impacted desert national parks. 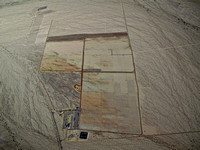 View this short film by The Wilderness Society to get "An Aerial View of Desert Solar Projects"